Description: If you have been wanting a tan 221J model 221K5 to complete your collection we have a beauty for you. This rare, made in Canada Featherweight is collector quality and a solid 9 in condition. Very little fading of the plastic parts, and no paint chipping on the faceplate usually seen on these machines. Has the correct and desirable Red S badge. The carrying case is the original Singer case with the accessory side tray. 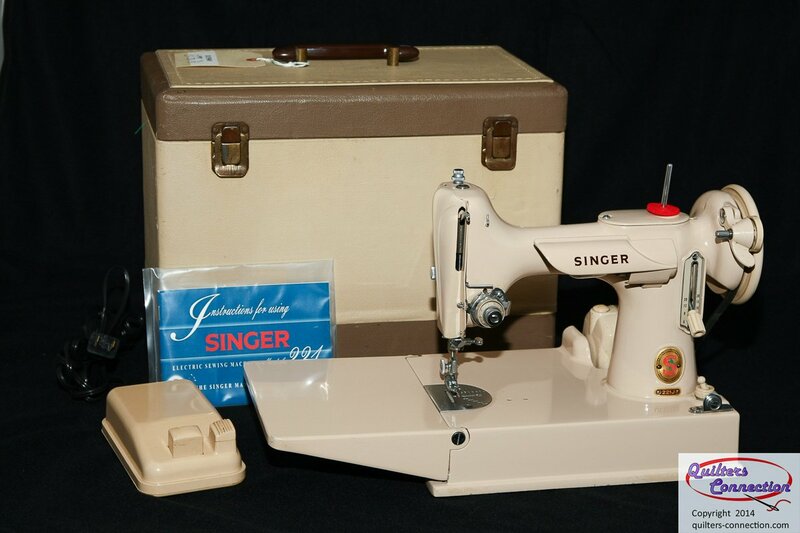 Included with the machine are the original Singer bobbin case, 5 bobbins, and a reprinted manual. This is a stunning, unique Featherweight that has been serviced and is ready to sew.